Fiji has truly amazing beaches that could easily keep snorkellers, watersports enthusiasts and holiday-readers endlessly happy, but what if you want a bit more from your trip? Fiji is such an obvious ‘island paradise’ destination. Still, there are several other activities that visitors might be unaware of. Here are my suggestions of Fiji's highlights, beyond the beach. If you didn’t manage to score a window seat on your flight arriving into Fiji you can still admire the many islands of Fiji, scattered like jewels across the Pacific, from a scenic flight. If you take a seaplane transfer to an island you will get great views from that journey too. The Mamanucas and Yasawas are groups of islands that form a chain from south west to north east, off the north west of Fiji’s main island Viti Levu. These islands are fantastic retreats to spend a few days on but if you don’t have enough time you can also visit them on daytrips from Denerau and Nadi. These islands offer the picture perfect scenes you see in the guidebooks and are beautiful spots to spend time in. Located in the north west of Viti Levu, Nadi is like a Little India in Fiji. The population is largely of Indian descent and the town boasts the southern hemisphere’s largest Hindu temple, Sri Siva Subramaniya. The temple features incredible, intricate carvings, bright colours and paintings of Hindu deities. The temple is a nod towards Nadi’s history, specifically the period between 1905 and 1912 when Indians were brought to Fiji to work in the sugarcane fields. Read my post about Sri Siva Subramaniya here. A short drive on a winding gravel road inland and uphill from Korolevi takes visitors into the nearby hinterland to visit Biausevu Waterfall. Biausevu villagers will accompany you to the waterfall where you can swim. Diving is an enormous source of pleasure in Fiji. The Mamanucas and Yasawas offer convenient and interesting diving, with ‘The Supermarket’ in the Mamanocas being a top spot to dive with sharks and ‘Manta Reef’ in the Yasawas offering close encounters with manta rays. Jacques Cousteau named Beqa Lagoon, near Pacific Harbour on the south coast of Viti Levu, as the ‘soft coral capital of the world’, and it is also a popular location for shark diving with around eight different shark species regularly hanging out there. Vanua Levu and the Lau islands offer isolated and untouched reefs. With hundreds of fringing reefs, Fiji offers something for every diver. Cruises are available to Beqa Island, near Pacific Harbour, where it is possible to see Beqa firewalkers walk over hot coals. They apparently do it without feeling a thing. The island is also known for its delicious red prawns which you should try if you visit. Something is missing if your island paradise does not feature rum, but don’t worry, Fiji has it sorted! Local rum is provided by the Fiji Rum Company, which offers tastings and rum-retail-therapy including rums of differing strengths as well as a range of liqueurs including coconut, white chocolate and banana liqueur. Fiji’s capital Suva lies on the south east corner of Viti Levu and the Fiji Museum is one of many attractions to keep visitors busy. 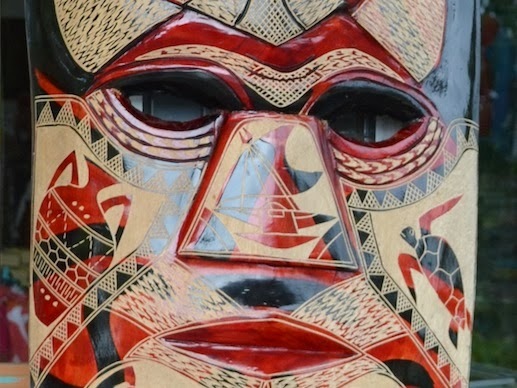 The museum provides an eye-opening (and inexpensive) look into Fiji’s history. Displays range from early Polynesian artifacts, tribal tools and clothing, natural history and ocean-going kayaks to the rudder of the HMS Bounty (of mutiny fame) and, somewhat confrontingly, cannibal forks. Fiji offers many avenues for the shopaholic to explore. From high-end boutiques offering exclusive resort-wear to straw markets showcasing local crafts and local department stores, Fiji has much to offer those who love to shop. The main shopping areas are in Suva and Denerau. The best markets are in Suva, Nadi and Sigatoka. Exploring independently means you can see what you want, when you want. Viti Levu is simple to drive around with the King's Highway going over the top half of the island and the Queen's Road running around the south. As you drive around you pass through towns and villages, you will have the chance to buy fruit from locals by the side of the road and, most importantly, can go at your own pace. Car hire is often cheaper than organised tours too. Do you have any suggestions you would add to this list? If so, please share them in the comments below.